Station wagons everywhere are trembling in their faux-wood-paneled boots. 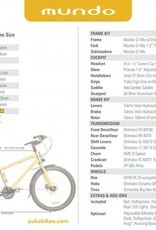 Whether you're trading in a car or just trying to drive it less, you can still keep the five-star safety rating. 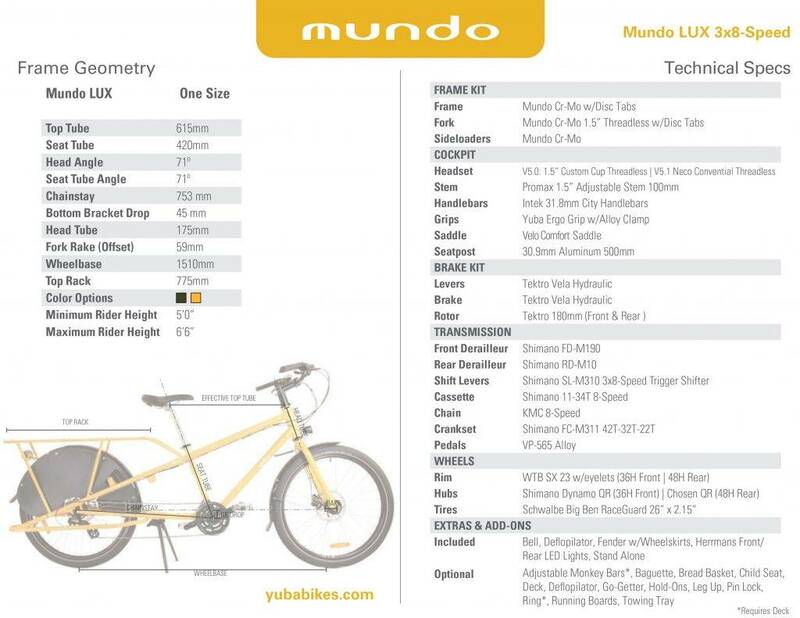 The Mundo LUX is kitted-out with dynamo-powered front and rear LED lights that never need charging keep you rolling safely at night, hydraulic disc brakes, full coverage wheelskirts and fenders to keep shoelaces out of the spokes, and a double kickstand for sturdy loading and unloading. 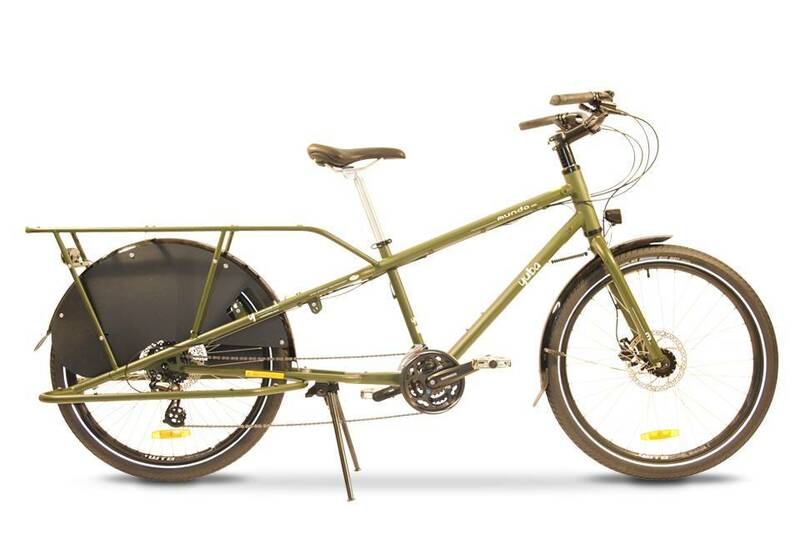 You won't forget you're riding a bike, though--between the long wheelbase and steel frame, you'll be able to handle heavy loads with ease, but nimble longtail handling means you can go places you'd never reach on 4 wheels. 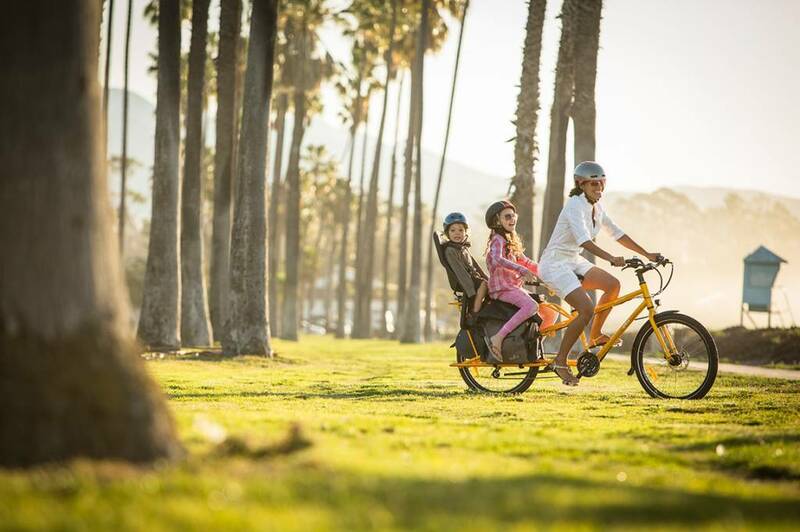 Like any Yuba, the Mundo LUX can be outfitted with a wide range of accessories to handle 2 or 3 kids, Yepp child seats, a week's groceries, camping gear or (with a little creative packing) all of the above! 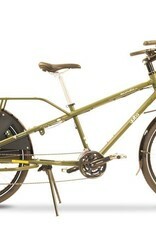 ONE SIZE: Fits most riders between 5' and 6'6"